WHAT IF GOD HAD NOT ALLOWED THE GREAT SUFFERINGS OF PAUL? 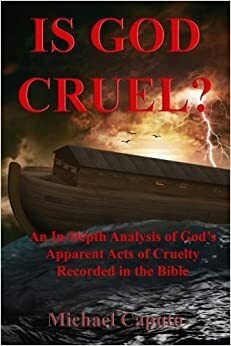 WHAT IF GOD HAD NOT ALLOWED PAUL'S GREAT SUFFERINGS? Before his dramatic conversion, the apostle Paul was an aggressive and brutal man. Being a fanatical Pharisee, he was an enemy of Christians and persecuted them without pause. “Saul (Paul) was breathing threats and murder against the disciples of the Lord and gladly consented to the death of Stephen” (Acts 9:1). Yet God, in His mercy, began unfolding a plan that was to bring Paul to Christ and then turn him into a dynamic, unstoppable force for the spreading of the Gospel around the Roman Empire. But God also had in store a long series of trials and tribulations that were to make his Christian experience an enormously difficult and challenging one. What if God had not added all the many trials to Paul’s Christian experience? What if He had simply helped him carry his gospel responsibilities without having to also bear all the suffering he also had to endure? Would that not have been fairer? Would that not have made it easier for him to perform his evangelistic duties? forceful, brutal man was now ready for some transforming. sufferings in II Cor. 11: 25-28). Besides the many persecutions Paul had to bear an infirmity we know little about. He fervently beseeched God for healing but he got a firm no each time. “…a thorn in the flesh was given to me, a messenger of Satan to buffet me....” (I Corinthians 12: 7). All in all, Christ’s prophecy about Paul’s sufferings were fulfilled. Obviously if God decided to add all the suffering to Paul’s life He had to have a good reason. To bring about a true lasting transformation, Paul needed intensive spiritual therapy. Paul was forceful and fiery. God, therefore, made sure he had plenty of trials that would test his patience and would produce longsuffering. Paul was harsh and judgmental. God made sure that his many painful experiences would tenderize him. Paul had tendency toward pride and arrogance. God made sure his preide was squeezed out of him. Paul understood that God knew what He was doing, and that His intentions were only good. Paul knew that all things would work out for his best and thus took all the afflictions with gladness. “Therefore I take pleasure in infirmities, in reproaches, in necessities, in persecutions, in distresses for Christ’s sake; for when I am weak then I am strong” (II Cor. 12:10). Paul needed God’s intensive and transforming program. He had to be cleansed, purified, solidified, and perfected. Had God not arranged for the many trials and afflictions to befall him, he would not have been a proper and mighty tool in God’s hands, and God would not have used him as powerfully as he did. Because Paul endured and did go along with God’s training program, at the end of his life he was able to confidently assert, “For I am already been poured as a drink offering and the time of my departure is at hand. I have fought a good fight, I have finished the race, I have kept the faith. Finally, there is laid up for me the crown of righteousness which the Lord, the righteous judge, will give to me on that day…” (II Timothy 4: 6-8).